Environmental security refers to a range of security issues triggered by environmental factors such as climate change, resource shortages, demographic factors, environmental change, and non-sustainable practices. Water resources are a particularly problematic area because water is an essential resource for which there is no substitute, and the amount of fresh water is finite and not equitably distributed in a spatial sense. From a geopolitical perspective, the world’s largest river systems are shared by multiple states and the potential for conflict is high. However, historically water resource conflict has been resolved by cooperative means and states have relied on technology, trade, and diplomatic solutions. This research argues that the security landscape has changed profoundly, and the history of cooperative water-conflict resolution is no longer a reliable guide to the future. This paper suggests that continued peaceful resolution of interstate water conflicts is inconsistent with the realities of the emerging national security landscape: climate change is already affecting the distribution of water in many critical water basins, and the proliferation of failing states has reduced the potential for diplomatic resolutions. This paper examines linkages between environmental stress, regional instability, water availability, and conflict and uses the Middle East as a case study to highlight these points. The analysis suggests that the region is now more vulnerable to environmental stress and water-related conflict. 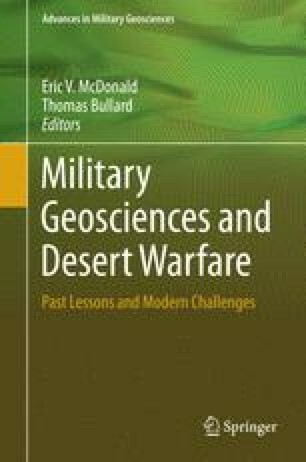 Given these circumstances, it is plausible that we will witness a surge in three modes of conflict, driven by water demand: ethnic/racial warfare enabled by environmental stress and demographic trends; civil warfare prompted by environmental stress and economic collapse; and limited-scale interstate wars.